Create optimum style control as part of your hair cleansing regime with the Schwarzkopf [3D]MENSION Grooming Fluid, a lightweight formulation that promotes shine and body. With its cooling Menthol extract, the Grooming Fluid creates a sensorial experience that ideally soothes and comforts the scalp. Added Caffeine stimulates the roots to energise growth and nourishment, while Provitamin B5 penetrates the hair shaft with hydration. The grooming fluid provides light style and grooming for fuller feeling hair. It detangles and makes hair easy to comb with a natural healthy shine. Apply to the hands and work into towel dried hair after shampooing. Leave in, and style straight away for ultimate control. Apply to dry hair for a moderate hold with excellent style retention. 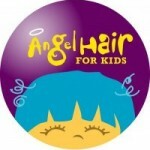 Angel Hair for Kids™ is a program of A Child’s Voice Foundation™ that provides wigs and hair loss solutions to financially disadvantaged children in Canada who have lost their hair due to a medical condition or treatment. Using hair that is generously donated to the program, the foundation can create wigs and hair systems and provide them at no cost to the child’s family. It takes 10-12 donated ponytails to make one hair prosthesis and $800 to $1000 is budgeted by the foundation to cover manufacturing and related costs. Every year many children in Canada will lose their hair due to conditions such as cancer treatments, alopecia and even burns. We believe that providing a wig or hair loss solution will increase a child’s self esteem and improve their self image, during a difficult and sometimes painful time in their lives. We hope to help them face their condition and daily life with a greater confidence. Since the program’s inception only three years ago we are proud to say that we have helped over 150 children, and the demand is steadily increasing. How is the community supporting this foundation, how can you contribute? Melanie Mohammed, a public servant who works for Public Safety Canada, approached the Foundation wanting to bring awareness to the fact that illness has a wide-reaching impact on children and their families. Melanie currently has 12 inches of hair and on October 12th 2012, she will be donating all of it to the Angel Hair for Kids foundation. We asked Melanie why she wanted to raise money for a hair donation . Melanie is raising money for her hair donation to Angel Hair for Kids; donations will be collected until October 14th 2012. Go to http://www.caralynswigs.com/ottawa-hair-salon/community-awards/angel-hair-for-kids/ and click on the “donate” button at the bottom of the page. All donations over $20 will receive a tax receipt. Please include in the notes that you are donating for Melanie. Let’s show our support for Melanie and her wonderful commitment to the many Canadian children during times of need. Our Team of stylists will each have a model where they will take their Glamour Vintage inspiration and Make a Hair masterpiece. Makeup artists on site will finish the looks and our photographer will capture the beauty that was created. We welcome our guests to enjoy the evening with music, hors d’oeuvres and drinks. Our Locks of Courage Campaign supporting cancer research in Ottawa will be present at our centre during the evening, you can support this cause by purchasing a pink extension highlight for $20 ( including installation) $12 of the proceeds going to Women’s cancer research. ALL UNITE AND OUR NEW 3D MENSION PRODUCTS WILL BE 25% OFF FOR THE WHOLE EVENING ! … DOOR PRIZES OF THESE PRODUCTS WILL BE RAFFLED OFF EACH HOUR, THE LONGER YOU ARE HERE THE MORE CHANCES YOU HAVE!! WE ARE VERY EXCITED FOR THIS EVENING AND WE WOULD LOVE TO SEE ALL OF OUR CLIENTS AND FRIENDS! Please RSVP to genevieve@caralynswigs.com if you would like to attend.